Firefighters juggle a lot of responsibilities, but one area they often lose focus on is their health. Unfortunately, this can lead to tragic consequences. How many reports have you seen of a firefighter having a heart attack while on-duty or a firefighter diagnosed with cancer? Odds are you probably know someone that has been impacted by heart disease or cancer. The statistics are startling. Each year more firefighters die on-duty from heart attacks than any other cause, and studies have shown that firefighters are at a greater risk of death from coronary heart disease when performing emergency duties than with non emergency duties. Cancer is now recognised as one of the biggest threats to firefighters, and studies confirm that firefighters are at a higher risk than the rest of the population for contracting many types of cancers. Many firefighters also struggle with health conditions and risk factors such as diabetes, high blood pressure, obesity, and sleep deprivation, which can lead to greater risk of injury and illnesses. The National Fire Protection Association (NFPA) recently released the Fourth Needs Assessment of the U.S. Fire Service, and it reports some pretty disturbing facts. 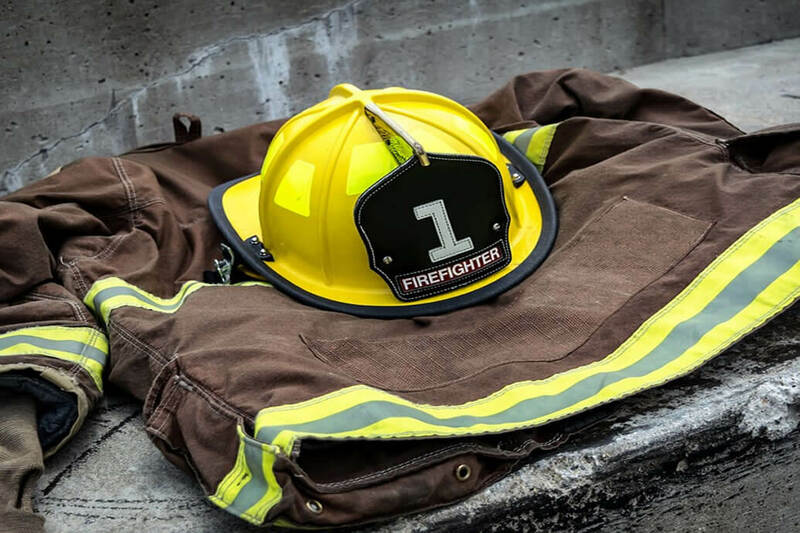 53 percent of departments reported that not all firefighters on a shift are equipped with SCBA, and 13 percent of departments don’t have personal protective clothing for all of their firefighters. A staggering 73 percent of departments don’t have any type of firefighter fitness or health program. Why are all of these facts important to you? Because you are a firefighter, and you have a responsibility to yourself, your crew, your family, and your community to be the best firefighter you can be. We face enough risks as part of the job without adding on unnecessary risks. There is a lot we can do to protect ourselves from health and safety hazards, but we must be diligent and consistent in these efforts. There are simple precautions you can take to help protect yourself from cancer. These include wearing PPE and SCBA fully and properly during response and overhaul, not carrying dirty gear in a personal vehicle unless sealed in an airtight container outside of the passenger cabin, not bringing dirty gear into the living quarters of the station, washing gear after every fire or incident where toxic elements exist, having a second hood to change out after fire incidents while the exposed hood is being washed, using wet wipes to clean off the face and neck areas before leaving a fire scene, showering as soon as possible after a fire incident, and washing hands thoroughly before touching food following a fire incident. With heart health a major concern for firefighters, proper fitness and nutrition should really be considered requirements of the job. Fit in exercise when you can, and focus on functional fitness that mimics the type of work you do as a firefighter. 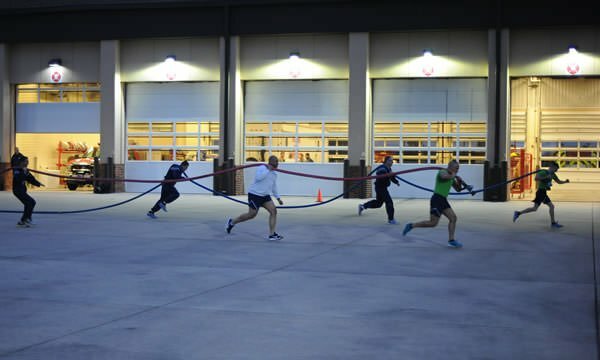 There are many exercises and functional fitness drills that can be done without any special equipment, or with equipment that is found at the firehouse. Make positive food choices to give you the stamina and energy you need to successfully perform your duties as a firefighter. Limit unhealthy foods as much as possible, making foods high in fat and added sugars an occasional treat or special occasion splurge. Leadership plays a big role in firefighter health. Leaders that are focused on health and wellness have a better chance of encouraging their personnel to take positive actions. Establish a department health and wellness program and work to incorporate healthy habits into the culture of the department. The National Volunteer Fire Council’s (NVFC) Heart-Healthy Firefighter Program has resources to help. Also refer to NFPA 1500: Standard on Fire Department Occupational Safety and Health Program; the NVFC has a guide to help department’s understand and implement this important standard. Firefighter physicals save lives, and I am living proof of this. In July 2016, I participated in a routine firefighter physical. The results caught me completely off-guard – irregularities led to more tests that uncovered a heart condition. I ended up having heart bypass surgery. Without this early detection and intervention, I very likely would have had a heart attack, possibly while on scene or performing my duties as a firefighter. This would have endangered not only me, but also my fellow firefighters and the people I was trying to save. I cringe to think what might have happened, but fortunately I will never have to find out. Early detection through annual medical evaluations or firefighter physicals is a key component to serving strong. There is a much better chance of avoiding a potentially life-threatening or life-altering outcome if a disease or risk factor is caught early. Since my near-miss with my heart condition, I have heard countless stories of firefighters who received early detection of heart disease, cancer, and other illnesses thanks to a firefighter physical. Some firefighters or department leaders may be hesitant to implement annual screenings as uncovering a health condition may take a firefighter out of operational service. This is a short-sighted view of the situation. It is much better to catch a condition early, treat it, and have the firefighter ultimately be back in action than it is to ignore or purposely not check for a condition until it gets to the point that the firefighter’s life is in danger. In my case, I was out of service for several months, but am now back at full capacity. If I had not had the corrective action available to me thanks to the physical, I would likely have had a heart attack that could have been life-threatening and, even if I’d survived, probably taken me out of the fire service for good. The International Association of Fire Chiefs also released the Healthcare Provider’s Guide to Firefighter Physicals. Firefighters can present this document to their personal healthcare providers to help them understand the physiological demands of firefighting and specific health risks posed to firefighters, assisting the healthcare provider in the evaluation, treatment, and ongoing surveillance needs of firefighters. The bottom line is this: In order to serve at our best, we need to be strong. And by strong I mean healthy. Serving strong means focusing on health. Our crew is depending on us to be a full part of the team, our families are depending on us to come home, and our community is depending on us to protect them. If we are not at our best because of a medical condition, then we are putting ourselves and others in danger. Focusing on our health allows us to be the best we can be for ourselves, our crew, our families, and our communities. I urge all firefighters and emergency responders to make health a priority so we can all serve strong for ourselves and all those who depend on us. 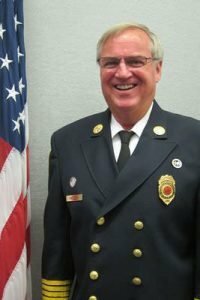 Importance of Firefighters Focusing on Health was written by Kevin D. Quinn who joined the fire service in 1976 and currently serves as Chair of the National Volunteer Fire Council (NVFC).